It has been so long since I posted my latest writing about “sastra dan kajian poskolonial” or literature and post-colonialists’ studies. One reason why I stopped writing for quite some time was because I took IELTS preparation course. Alhamdulillah I got 8 overall band score! Thanks IEDUC! Now I am back for blogging. Since I do not have any “sophisticated” idea to write, well, I guess I’d like to share about my watch. It is Seiko 5 Sports. I bought this watch in 2008. It means that I have already had this watch for 4 years without any maintenance and it is still working perfectly. I love this watch and I am proud of it. Before I bought this watch, I had already had a beautiful Orient GMT 100M Watch CFE04002W, an elegant Orient Power Reserve CEX0N001B, a charming yet sleek Alexandre Christie Men’s Watch, a classic-looking Orient CFD01001W0, a cheap Jacque Martin sports watch, an expensive replica of Vacheron Constantin, a made-in-Thailand Casio G-Shock, and one watch I forgot what name it was (and actually, I sold this watch to my distant relative in 2011). Although this Land-Shark is durable and excellent, but I can say that Orient GMT has the best design and functionality. My Land-Shark has compass which can only be used with “certain procedures” (click here for more information). Meanwhile, Orient GMT has not only its beautiful look, but it has also two different-time-zones feature. This feature is very useful for someone who lives and works in different time zones. However, there is something that makes me consider that my Land-Shark is the bestest. It is its considerable-precision and excellent durability. My other automatic watches had problems when I dropped them by chance. It happened also with my Orient GMT. Since the day I bought, My Land-Shark has never had any problem with “dropping by accident”. It is so tough compared to others. All in all, dare I say that every watch lover must purchase this watch. 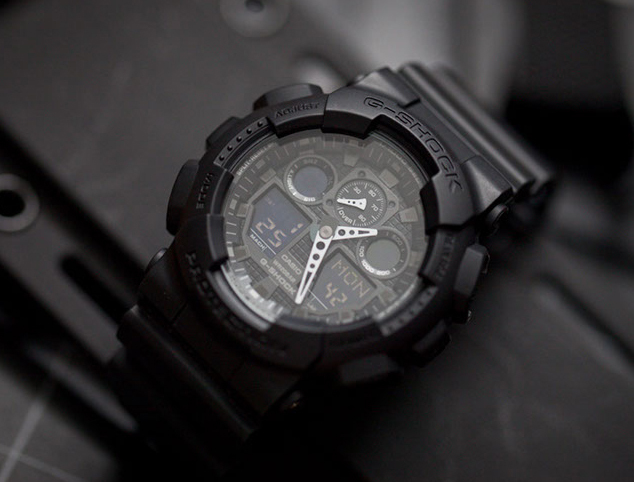 Then I bought Casio G-Shock Military Black Series GA-100. Alhamdulillah, I love this new watch. Thanks to my wife because she advised me to buy this Casio watch. Love it! This entry was posted in Article and tagged Land-Shark, Seiko Atlas, Seiko Land Shark, Seiko Watch, Wrist Watch. Bookmark the permalink.